The golden roof and additional buildings were constructed in 1839. 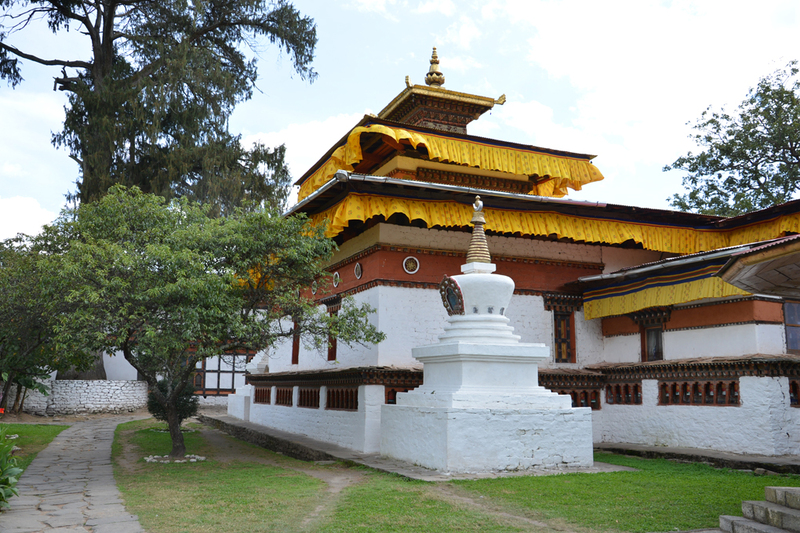 There is also a guru lhakhang which was built in 1968 with financial assistance from the Third King’s wife Ashi Kesang Wangchuck. The guru lhakhang has a five meters high statue of Guru Rinpoche.